​The Trader Lab began in 2016 at Purdue University in the Department of Medicinal Chemistry and Molecular Pharmacology. Our lab is located in RHPH 527. -It has been an exciting fellowship week in the Trader lab! -Marianne received a fellowship from the Lilly Endowment to pursue her cancer diagnostic research. Congrats MM! -Dr. Zerfas received a poster award in the Medicinal Chemistry and Chemical Biology section at the recent H.C. Brown Symposium hosted by the Purdue Chemistry department. Congrats BZ! -Marianne presented her recent work on campus at the Leap from Lab conference and won the People's Choice Award for best talk. Congrats!! -Congrats to Christine Muli on passing her candidacy exam! -The press release about Breanna's JACS paper can be found here! -Our first patent has been published on the development of FRET reporters for monitoring the activity of the 20S CP. Click here. -A BIG congrats to Breanna on having her JACS paper accepted describing a new immunoproteasome probe! -Congrats to Tom for receiving a travel grant from the Purdue Cancer Center to present his work at the National ACS Meeting in August! -Congrats to Christine and Wenzhi on the acceptance of their mini-review on 19S RP inhibitors in ChemBioChem- ChemBioTalents Issue! -Congrats to Marianne on her first paper that was just accepted to ACS Combi Sci! -Congrats to Breanna for receiving a travel award from Purdue to attend the 2019 HTS Gordon Conference. -Congrats to Rachel for winning the Chaney Travel Award to attend the 2019 Bioorganic Gordon Conference. -Our viewpoint on Proteasome Stimulation was just published in ACS Pharmacology and Translational Science! -Congrats to Rachel on winning the McKeehan Fellowship AND the Jenkins-Knevel Award! -Congrats to Rachel on her Current Protocols in Chemical Biology manuscript being accepted! -A Phase II grant from the Purdue NCI-designated Cancer Center was awarded to further our research towards a better Rpn-6 inhibitor to battle hematological cancers! -The Trader lab has received an internal grant from the chemical genomics facility to screen for better Rpn-13 inhibitors. We look forward to this exciting screening campaign! -Congrats to Tom (Wenzhi) for passing his candidacy exam! -Rachel was awarded a PRF fellowship to support her research entitled "Stimulating the 20S CP as a Therapeutic Approach to Parkinson's Disease." Congrats Rachel! -Congrats to Marianne and Rachel on passing their candidacy exam!! -The Trader Lab's first publication was accepted! Congrats Rachel! -Congrats to Nathan Macatangay, a pre-pharmacy student in our lab, for being selected for a Dean's Undergraduate Research Fellowship for this summer! 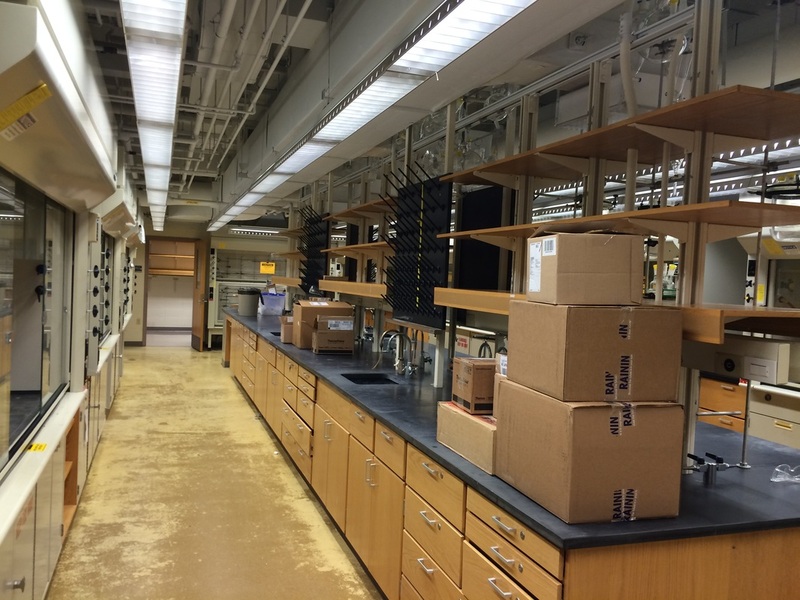 -The Trader lab is participating in the Purdue University Cancer Center 5K Challenge! If you would like to donate to our team please use the link below! -Dr. Zerfas, a Trader Lab postdoc, receives a travel award to attend the Bioorganic GRC in June 2018 in Andover, NH from the Purdue Graduate School. -Welcome first year MCMP graduate student Christine Muli to the Trader Lab! -The Trader lab receives a Showalter Trust Research Award for the project titled "Discovery of Proteasome Stimulators to Treat Diseases Associated with Protein Accumulation"
-Breanna Zerfas, a graduate of Boston College from Prof. Jianmin Gao's group, has joined the Trader lab as a postdoc. Welcome Breanna! The Trader laboratory was awarded a Purdue University Center for Cancer Research's Phase I Concept Award for the project entitled "Development of Rpn-6 Inhibitors, the Hinge of the Proteasome, as a New Anti-Cancer Target." Marianne Maresh, a PULSe Rotation student, was the runner up for the PULSe First Year Poster Award. Congrats Marianne! Rachel Coleman and Wenzhi Tian, MCMP graduate students, join the Trader laboratory. Welcome Rachel and Wenzhi! Dr. Trader receives seed funding to begin a collaboration with Prof. Gaurav Chopra (Dept. of Chemistry) towards discovering small molecules to stimulate the proteasome in neurons affected by A-beta accumulation. Dr. Trader recieves the Purdue University Center for Cancer Research's American Cancer Society (ACS) Instutitional Grant for New Investigators! This grant will be utilized to fund the project titled "Triggering the Immune System to Destory Cancer Cells via Selective Antigenic Peptide Release by the Immunoproteasome." It's beginning to look like a lab! Plenty of room and new equipment for MCMP and PULSe graduate students. Please contact Dr. Trader if interested in doing a rotation. ​The Trader Lab begins at Purdue in RHPH 527. The lab is currently seeking enthusiastic graduate students and postdocs. Email Prof Trader at dtrader@purdue.edu.